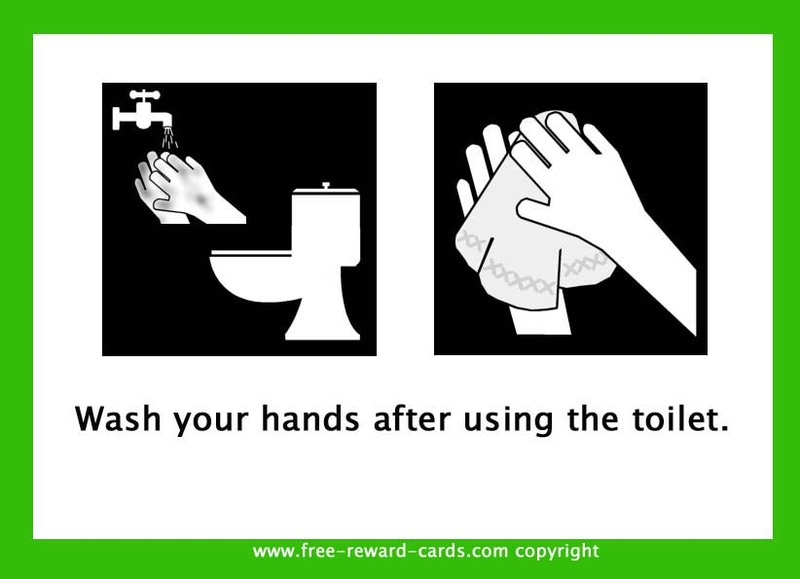 Card pictograms that visualizes to wash your hands after you use the toilet. All these daily rythm pictogram cards are free printable via www.free-reward-cards.com. The cards are ment to make parenting more fun and easy for parents and children.